Analysis of red blood cells, taken from a single small blood sample, can provide a clear view of the presence of beneficial vitamins and minerals in your system. It is therefore easy to determine what your system is missing, so your physician can help you find the ideal balance for your own health and wellbeing. 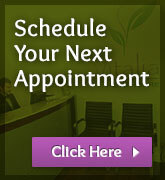 Vitalia Healthcare of Vancouver provides a Sample Profile for interested clients. Analysis of red blood cells provides a highly efficient diagnostic tool for accessing the status of various elements that are of high importance to cell function. Blood cell element levels have been found useful in assessing anemia, glucose tolerance, cardiac influences, immunological function, anti-inflammatory processes, and other disorders. 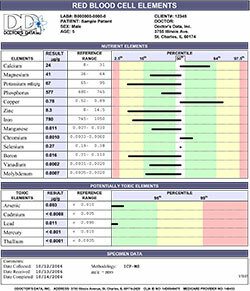 The RBC analysis can report intracellular red blood cell levels for a variety of elements, including calcium, potassium, magnesium, copper, phosphorus, manganese, iron, zinc, boron, selenium, and molybdenum. Many patients turn to this test to prevent or improve certain health conditions, such as diabetes, cancer, and heart disease. Red blood cells, also known as erythrocytes, account for approximately 40 to 45 percent of volume in blood. Production of red blood cells is controlled by erythropoietin, a type of hormone primarily produced by the kidneys. Starting as immature cells in bone marrow, red blood cells mature over a seven day period before being released into the bloodstream. Since they have no nucleus like many other cells, they can easily change shape and fit effortlessly through various blood vessels in the body. The average red blood cell survives an average of 120 days. RBCs consist of a protein known as hemoglobin, which is crucial for carrying oxygen from the lungs to the rest of the body. It then returns carbon dioxide to the lungs to be exhaled. The large number of red blood cells in the bloodstream is what makes blood its reddish tint, which gets its color from hemoglobin. Red blood cells are responsible for a number of functions in the body, including cooperation with the immune system to help neutralize hostile organisms, such as bacteria. Patients with various health disorders often experience fluctuations in red blood cell counts, often resulting in fatigue. Vitalia Healthcare of Vancouver provides red blood cell elements testing to get a better idea of what vitamins and minerals are in the blood and what is missing. Accurate assessment of red blood cells in the body can have a significant impact on one’s overall health and wellbeing. Finding the levels of certain vitamins and minerals in the body can help determine an appropriate supplement for low levels of specific elements. Inappropriate supplement or a dietary imbalance of elements can have very negative health effects. Vitalia Healthcare of Vancouver uses red blood cell elements testing to accurately determine what your system is missing to find the ideal balance. Red blood cell elements testing can also be useful in the assessment of recent exposure to certain toxic elements, such as lead, arsenic, cadmium, and thallium. With just a small blood sample, the professionals at Vitalia Healthcare of Vancouver can test for vitamins and minerals that are vital for your nutrition and normal body function. The body cannot produce many types of nutrients and therefore requires consumption of these important elements in your day-to-day diet. Many toxic excesses and mineral deficiency disorders can be evaluated through a simple blood test. Results of your blood tests may require monitoring your diet to introduce more vitamin-rich foods or to reduce certain supplements or foods that could be contributing to toxicity in the body. If you reside in the Vancouver area and are interested in any of our services, call Vitalia Healthcare today at 1-604-566-WELL (9355).